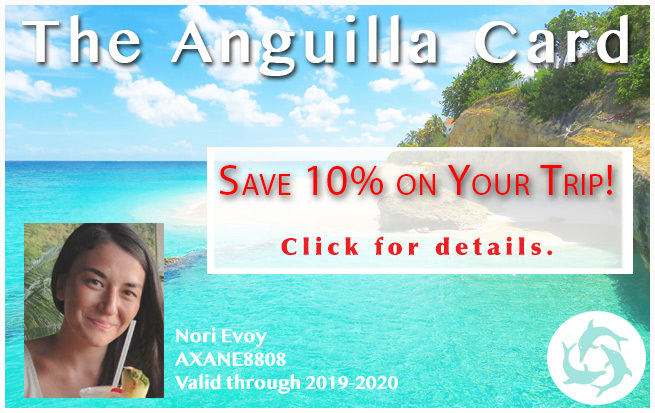 Of course, I have seen signs advertising condos, but when I think about Anguilla accommodations, staying in Anguilla villas, Anguilla hotels or Anguilla resorts pop into my mind. 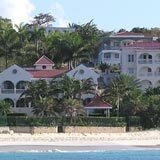 I had never heard of condo living on Anguilla, until high end developments (like Viceroy Anguilla) (now Four Seasons) moved into town and brought attention to the option of owning or renting an Anguilla condo instead of an Anguilla villa or hotel room. But of course, there are more truly luxurious ones on their way. Nori: "What is the difference between an apartment and a condo and a villa?" Jackie: "Villas are free standing units where as condos are attached to buildings - they are found in complexes. As for apartments, we don't have any for sale in the present moment. We do have condos and villas however." Nori: "How many Anguilla condos are available on the island?" 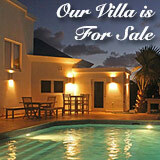 Jackie: "In terms of the number of Anguilla condo complexes, it tends to sit pretty low. There are two that I know of with available units right now." Nori: "What would be some advantages of buying a condo unit over a villa, Jackie?" Jackie: "Anguilla condos have their benefits. For one, you don't have to worry about maintenance, and you get prime beachfront location, which non-Anguillians cannot get through villa ownership. Also, there may be rental income possibilities." Nori: Wow! I know my Dad loves sandy beach and hates maintenance. Where does he sign?" Jackie: "Ha! Ha! It's not all smooth sailing, Nori. So don't be too quick to sell your dad an Anguilla condo! Ha! Ha! 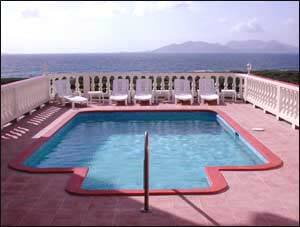 Anguilla condo owners must pay a monthly condo fee. And if you have a bad management group, life can become not so sunny, even in Anguilla. And condos are not considered as residences, the way villas are. In other words, if you own a villa in Anguilla, while you are here, the government simply considers you as living at home. But if you stay in your condo, it's as if you were at a hotel. While you don't pay hotel fees, of course, you do pay a 10% tax on what your unit would rent for. And there are a few other downsides. Since you live in a community, you you don't have total control. For example, there may be limitations to how much you can change the decor." Nori: "I see. 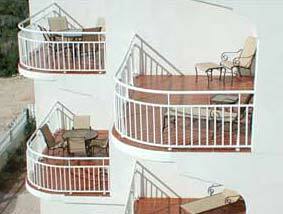 The ups and downs of condo living! Like anything else, Jackie, I guess you have to do careful homework on the points you raised." Jackie: "Absolutely right, Nori. 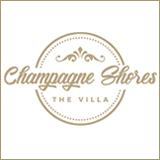 In general, I recommend villas. But Anguilla condos can be right for certain people in certain situations and I'm glad to show people what's available at any time." Nori: "Thanks so much for your time Jackie. I'm sure my Dad will find this interesting material. You know his ultimate plan, right?" Jackie: "Yes, when you move down here, I'll even make him a rum punch!" Nori: "Jackie, thank you so much." Well, there you have it... the ins and outs of Anguilla condos. 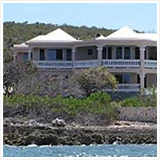 These Anguilla condos were completed in 2003. Too bad they're all sold out! However, there are rumors of possible additions. If you want to stay up-to-date, click here to subscribe to my e-zine. (I'm assuming that's after you would have purchased your condo and not sooner). And my Dad will be glad to hear that he wouldn't even have to worry about pool maintenance! 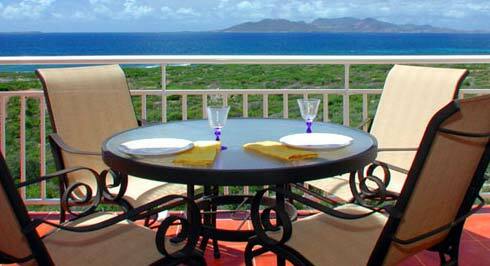 As you can see, this Anguilla condo complex offers sensational views. Located on the Eastern side of the island facing south, near Junk's Hole (Savannah Bay), it's not far from one our favorite restaurants, Palm Grove! 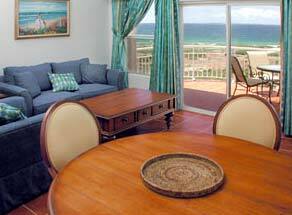 These spiffy Anguilla condos were finished in January of 2004. 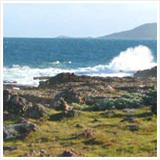 The complex is owned by an Anguillian who had lived outside of the island for 26 years. He had been working in St. Martin but then recently retired from his work on the Dutch and French island, to fulfill his dream of investing in Anguilla tourism. These condos come with all you need. 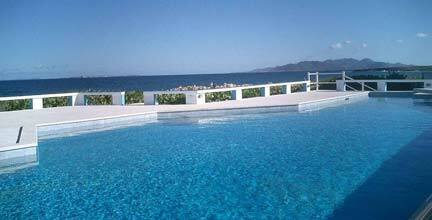 They provide one (or two) bedrooms, a complete kitchen, private terraces, full baths, living room/dining area, etc. All come furnished and must stay that way. As for those views, the asking rental price to gaze dreamily at them begins at $300/night in the summer season for one bedroom. Need two bedrooms in the winter? Be prepared to spend $400/night. All in all, an attractive and reasonably priced option. 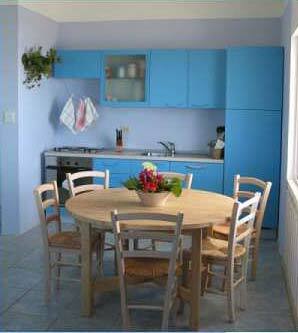 Ocean Terrace Condos: On Anguilla's South Shore, with sweeping views of the Caribbean Sea and St. Martin, Ocean Terrace Condos offers it all at an affordable price. Click here for more information. 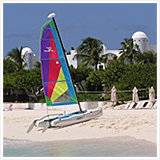 Earlier Condos: Click here for background information on Anguilla condominiums. 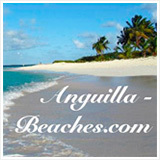 Mid-Priced Anguilla Condos: Click here to read about Turtle's Nest Anguilla condos. Super High-End Anguilla Condos and Villas: Click here to read about the luxurious condo development, Viceroy Anguilla (now Four Seasons). 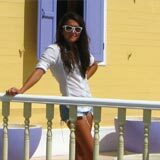 Airbnb Anguilla: Looking for a condo for your Anguilla vacation? Airbnb is a "go to," listing many condo complexes. 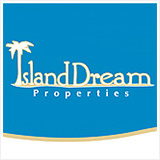 For general Anguilla real estate information, click here for Anguilla's top real estate agent. 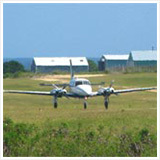 For advice on Anguilla timeshares (or fractional ownerships), click here.